Situated in Shadman, in central Lahore, it started as a 200 bed community hospital for women and children. But today by the grace of Allah Almighty, Fatima Memorial Hospital has transformed into a 500 bed tertiary care General Hospital. Fatima Memorial Hospital believes in service excellence and quality healthcare to the ailing. 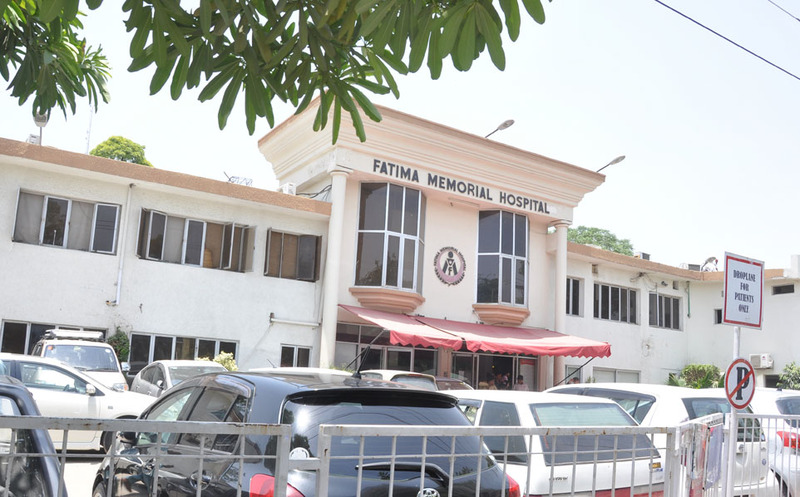 The philosophy of functioning of Fatima Memorial Hospital is cross subsidization where funds generated from affording patients are utilized for the benefit of underprivileged and indigents. Today FMH stands committed to provide quality healthcare services to all categories of patients disregarding means to pay. The Department of Gastroenterology provides comprehensive facilities for Endoscopies, ERCP and Colonoscopy Procedures. It has state of the art equipment and highly qualified team of doctors and nurses. Recently an independent Gastroenterology Unit with 22 private rooms has been established with state of the art facilities for the patients. It has state of the art Electro Encephlo Graphy (EEG) facility for patients of neurological disorders. It consists of a team of highly qualified doctors and nurses. Every year around 6000 babies are delivered at FMH, Department of Neonatology provides health care facilities to both normal and sick babies. It provides state of the art nurseries for premature babies and babies with other problems. It is equipped with latest incubators, overhead warmers, ventilators and phototherapy equipment. A separate out born nursery has been established to accommodate babies referred from other hospitals of Lahore and Punjab. The Department of Radiology is equipped with modern high tech equipment to enhance the diagnostic ability of clinical disciplines of hospital. This department ismanaged by highly qualified and competent team of doctors and nurses. It provides advanced diagnostic services like X-Ray, Mammography, CT-Scan, Fluoroscopy(Contrast Examination), Ultrasound, Doppler Ultrasound, and Ultrasound guided interventional procedures. This department provides 24 hours diagnostic support to Outdoor and Indoor patients. This department provides state of the art diagnostic facilities in the In the field of Histopathology, Hematology, Microbiology and Biochemistry. It is equipped with latest equipment like Hematology Analyzers, Blood gas Analyzers, IMX System, and other analytical biochemistry equipment. This is well-equipped, centrally air conditioned facility and has separate cubicles where each private patient is allowed one attendant. A modern labour and delivery room suite as per international standards provides a soothing atmosphere within the hospital for the patients. Special arrangements have been made forattendants and husbands to be present during delivery, thus making the mother feel relaxed and comfortable in a homely environment. This unit of the Obstetrics & Gynaecology provides information resource, support and medical treatment for couples with fertility problems. A reproductive health services ’A’ type center has been in operation at FMH since 1986. It is run by the Population Welfare Department of Government of Punjab. The objective is to provide contraceptive facilities to the general public, including contraceptive surgery, with safe and effective hack-up surgical support and provision of necessary medicines to the clients. Surgical support is provided by the hospital, and cases are often referred from smaller centers of Lahore. Thecenter has a fully trained staff and an independent transport facility to drop the clients to their residence.